There are so many aspects that make our country great. From our exotic wildlife to our amazing landscapes and landmarks, and also our inspirational national treasures that become icons all over the world. With Australia Day fast approaching, it is a wonderful opportunity to not only research the past and celebrate the present, but also for our younger generation to think about their role in shaping a great, successful future. 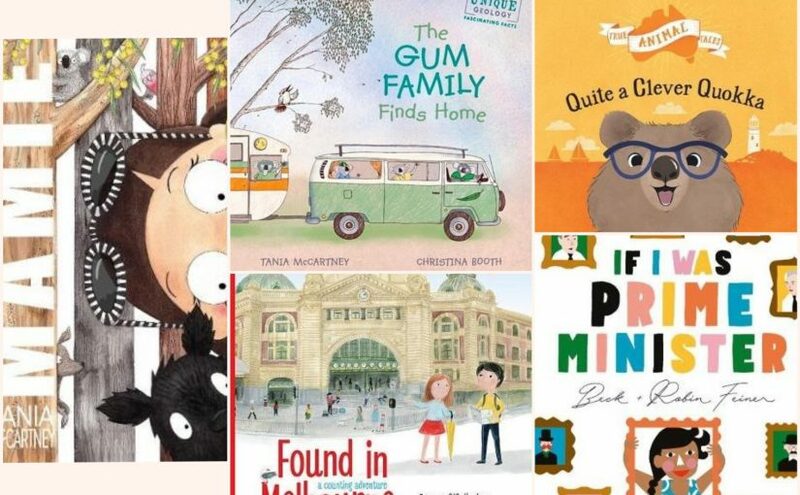 Here are little teasers of hugely beautiful picture books to honour the joys, wonders and beauties of Australia and all this country has to offer. Yes, our country is great. But there are certainly ways to make it even better. 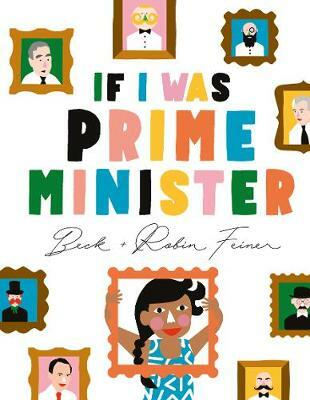 Beck and Robin Feiner propose this ideology to our children; empowering them to build a vision for our future with their newest picture book, If I Was Prime Minister. This inspiring tale gives readers the opportunity to hear other kids’ ideas as they introduce themselves with concepts they’re passionate about. For example, Ziggy would hold NO CAR DAYS for scooters, bikes and skateboards. Each page encourages further thought and discussion into the benefits and practicalities over the long term. Illustrations are bright and bold, simple and straightforward, and brilliantly represent the narrative’s messages of multiculturalism, compassion, empathy, care and kindness towards each other and our sustainability. Imaginative, fun, insightful and powerful, a highly recommended resource for all our Aussie students to consider. 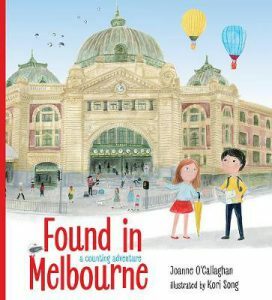 Joanne O’Callaghan and Kori Song are a dynamic author – illustrator pair from Hong Kong inspired by the beautiful and fascinating city of Melbourne. In Found in Melbourne, two children explore well-known, and not-so-well-known, must-visit places by counting and rhyming their way through the city and beyond. From ONE giant mouth at Luna Park to TWO people singing and dancing at the Princess Theatre, THREE trams past the Shrine, and so on. They reach TWELVE fancy cakes at Hopetoun Tea Rooms in Collins Street, 100 butterflies at the zoo, 1000 triangles in Federation Square, and 1,000,000 stories in the State Library. All sights are explained in the back of the book, which is lusciously illustrated with fine detail and sublime accuracy. A wonderful resource for young Melbournites to explore their own city, as well as visitors looking for superb culture, history and beauty of this vibrant city. Allen & Unwin, March 2018. 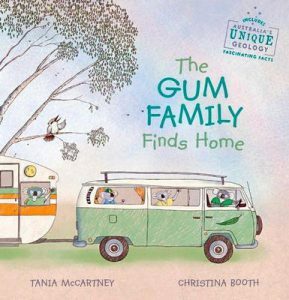 Speaking of loving the place you’re in, The Gum Family Finds Home in this unique and remarkable Aussie tale by Tania McCartney and Christina Booth. The endpapers immediately draw the reader in with illustrated ‘photographs’ of proud and cheeky koalas enjoying their adventures in magnificent locations around Australia (Uluru, Karlu Karlu, The Bungle Bungle Range, just to name a few). McCartney’s language is just as magical with her lulling descriptions and whimsical phrasing, sweeping us up on the journey to find a safer, more suitable home for the Gum family – as opposed to the scarce, wind-swept tree they currently reside. Here is a gorgeous geological trip full to the brim with amazing facts, contemporary knick-knacks and stunningly illustrated landscapes with ancient ancestry. And all the while weaving in the characters’ conundrum, with a marvellous twist and ‘rock-solid’ ending to settle any questions regarding the perfect place to belong. Couldn’t be more exciting, interesting, informative and heartwarming than this! 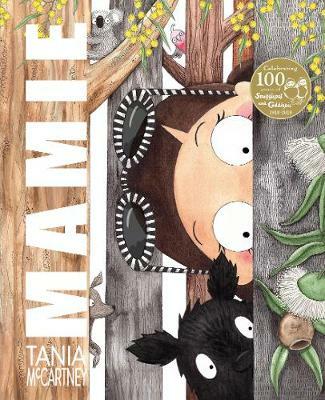 Another book, which is absolutely gorgeous – a piece of art – by Tania McCartney, is Mamie; based on the upbringing of and celebrating the iconic May Gibbs and 100 years of Snugglepot and Cuddlepie fame. From the imaginative perspective of a little girl, Mamie lives and breathes fairies and pixies, singing, dancing and painting, until she is transported into another strange world across the sea to ‘creeks and dusty plains and the hottest of suns in high blue skies.’ But magic for Mamie is not far away and her dreams of reuniting with her beloved fairies and pixies becomes a reality, in the most amazing way possible. Together with the biography on May Gibbs, the gentle, inspiring tale and beautifully visual and playful illustrations, Mamie is an incredible culmination of fact and fiction and Australian native flavour. McCartney is the perfect choice to represent the supreme talent of this honoured creator and her legacy. Following picture books, The Singing Seal and Kung-Fu Kangaroo, third in the whimsical ‘True Animal Tales’ series by Merv Lamington and Allison Langton is the tenacious, Quite a Clever Quokka. Based on real life stories with value-based messages and featuring Australian wildlife, these fun rhyming tales always expose readers to a taste of the Australian landscape and our unique native animals. This one, set on Rottnest Island in W.A, circles around themes of chasing your dreams with Leonardo da Quokko, who becomes a famous artist and Archibald Winner, despite missing his home and friends. 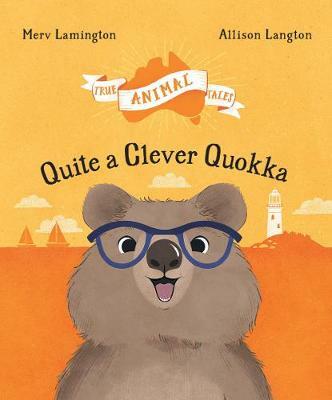 Clever by nature, clever by illustration, Quite a Clever Quokka certainly impresses with its energy, and ability to entertain, inform and capture the hearts and souls of any age reader.